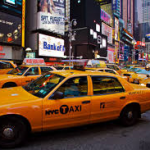 It’s too important a move–a giant $2.50 surcharge on every ride in yellow taxis in Midtown Manhattan–big enough to fell an essential NYC industry. A judge postponed the measure from January 1, which was the deadline when I originally wrote about the debilitating tax. It started last weekend. I’m appalled. As a result, I forecast the end of an industry that served me, my parents and grandparents so well. 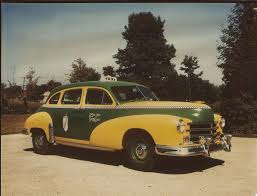 According to Google, it was the first Yellow Cabs that in mid-1880 knocked “less predictable” competitors out of the ring in the big apple. Yellow cab owners have invested so much in their businesses, and NYC’s citizens whose cabs touch a toe below 96th Street and are slapped with the surcharge, don’t deserve this. Tossing a tax on the vulnerable to solve your financial difficulties in an allied but otherwise unrelated sector isn’t the way to go. 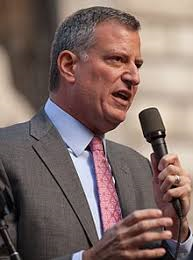 The January 1, 2019 $2.50 congestion pricing fee will help destroy the already limping yellow cab industry and hurt citizens of modest or microscopic means who rely on traditional cabs. Many can’t manage busses or subways, can’t afford limos or don’t have smartphones to hire car services like Uber or Lyft. 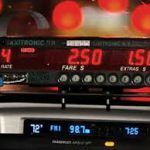 The fee impacts “any yellow cab, e-hail or other for-hire vehicle trips that start, pass through or end in a designated ‘congestion zone’ below 96th Street in Manhattan,” Vincent Barone wrote in amny.com. Services like Lyft and Uber are charged a $2.75 fee but because they can fiddle with their basic price which yellow taxis can’t, they could make rides cheaper than traditional cabs—another stab to the financial heart of their competitor. Do you think that there is a chance for a rollback to a more reasonable surcharge such as 50 cents instead of $2.50? What impactful action might we take to put the brakes on this poorly conceived method of paying for the city’s subway system? Why does this city care more about bicyclists than about pedestrians or taxi drivers? I was born and grew up in NYC and consider it a beloved relative that makes me glow with pride sometimes and bristle other times. 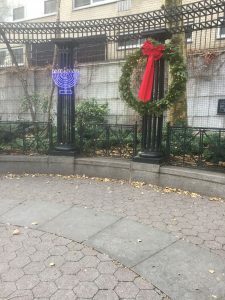 On my walk to work my eye caught a menorah installed right next to a Christmas wreath [photo above] illustrating the comfortable diversity I admire. 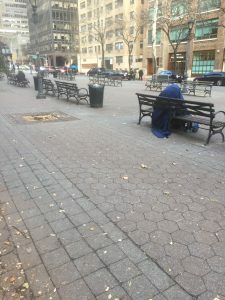 I turned around to see a homeless person huddled in the cold on a nearby bench, [photo right, below], striking my heart, but in the opposite way. The New Year will bring with it two ham-fisted decisions that impact transportation and will punch the Big Apple in the gut. Worse: Nobody seems to be directing the big picture. And what about the Metropolitan Transit Authority [MTA] that, in addition to benefiting from the congestion pricing taxi fee is fighting to get a 4 percent increase in subway and bus fares next year? 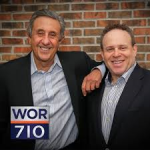 Here are highlights of its cost-cutting proposal, according to 710 WOR radio new: “Among the plans is to change the temperature on subway trains, providing riders with less heat in the winter and less air conditioner in the summer. The proposal would also result in fewer trains and buses on some lines that could lead to overcrowding. Trains would also be cleaned less frequently.” Good plan: Charge more, give less. 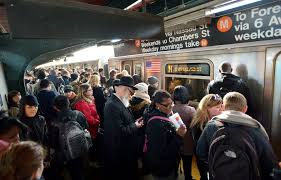 What and/or who is to blame for the MTA’s financial woes? Fare beaters according to Andy Byford the president of NYC Transit. 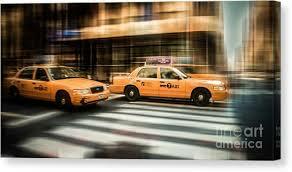 Will congestion pricing to hit cabs positively impact the city’s severe traffic challenges? Is the potential increase in public transit fares along with a decrease in comfort for riders badly timed? Do these moves tell citizens “If you can’t afford the city and can’t handle a nasty subway ride, get out” even louder than ever before? Would strong leadership avert or lessen the transportation tangle? Do you live in a town or city that works seamlessly? The first time I felt stranded in a city swarming with cars was in Teheran long ago. The feeling of frustration, helplessness and dread is always the same. I think: “How will I get where I need to be on time or at all?” We were miles from our hotel, there were no taxis, we spoke not a word of Farsi and had no clue about public transportation. 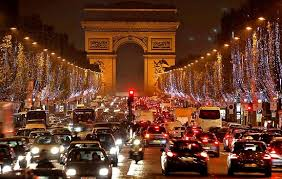 The next time this happened was in Paris years later and years ago. The trick then was to know the number of a responsible car service. This didn’t always work either even when the concierge of a well regarded hotel placed the call. At least Paris has a superb metro system though it’s not fun taking public transportation very late at night when you’re dressed up and in uncomfortable shoes. Back in NYC last week we waited 45 minutes for the cross-town bus at 49th and First Avenue, a jaunt from a subway. It never came. Everyone at the stop when we arrived eventually gave up. Meanwhile countless busses raced along First Avenue. We left frantic calls on our friend’s mobile phone to make alternate plans. He held the tickets to Radio City Music Hall‘s Christmas Show and was waiting for us outside. My phone went dead. It needed a charge. We walked to Second Avenue hoping for better luck and mercifully someone hopped out of a cab which we dashed into. The driver charged my phone; we were able to connect with our friend but gosh–the stress to get there dampened our enthusiasm. Lucky the show was spectacular as that’s what we remember when we think of that evening. “There are rideshare options in your city!” some readers are yelling at their computer screens. My response: “I don’t have access to apps to hire Uber, Lyft, Gett or Juno car services. Does everyone?” Why don’t I? I need to set aside 3 hours to wait my turn at the Apple Store to acquire a new password/Apple ID in order to download apps. Something happened with my old one. The daunting potential time waste has put me off. The city is strangled by traffic. In addition to the annual influx of holiday shoppers and tourists eager to see the tree at Rockefeller Center, the stroke in midtown traffic caused by security around the President-elect’s Fifth Avenue midtown office/home will ensure that for blocks we continue to suffer for four years. In addition, the Governor has promised to complete the first stretch of the Second Avenue subway [photo left] by year’s end. To satisfy his ego, he has workers at it 24/7 and the avenue shrinks to one lane around 72nd Street. This subway has been in the works for 70 years at least when the first bond issues were floated. So what’s a few more days? A sidebar: To feed a MetroCard for access to busses in NYC a person needs access to the subway which is usually up or down flights of stairs. Doesn’t that eliminate people for whom stairs are an issue? Grand Central Station no longer sells the cards on the main floor. Maybe you can buy or feed a card in a convenient spot somewhere else in the city but I don’t know where. So how should people plan on getting around in cities? I wake up to Len Berman and Todd Schnitt in the Morning on WOR 710 Radio, a welcome addition to the NYC media scene since January. Last Thursday Schnitt, [on the right in the photo with Berman, at right], said he’d deleted the Uber app from his Android phone because he didn’t want to give the company access to his address book nor did he want the company to know his location even if he hadn’t opened the app. He said the latter intrusion will happen in July. 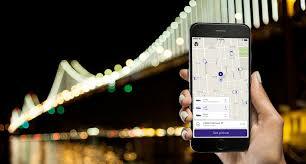 Schnitt said he takes yellow cabs to work every morning at 4a.m.–the show runs from 6 am to 10–and plans to look for a different car booking company, like Lyft. I asked a friend (in her 20s) what she thought about all this surveillance, shadowing and privacy invasion. She said, “I always just think/sort of joke around that my iPhone knows more about me than I do. The other day my phone told me how long it would be for me to get to Columbia [University] from midtown — I never put that in as a home address or anything. The phone just sort of figured out on its own that I was there a lot. Creepy. According to Insurance Journal, “The car booking company now more clearly tells its customers it can pretty much track everything they do while using the Uber app, after facing criticism over privacy, especially its use of a tool called God View enabling the company to know where its riders were at any given moment.” Eric Newcomer, who wrote “Uber Discloses Expanded Customer Data Tracking,” continued: “the firm said Uber needed to make sure it was clearer and more transparent, rather than significantly altering its existing policies.” The [law] firm referred to is Hogan Lovells. Remember the prehistoric slogan about customers always being right? At Uber the drivers rate customers. 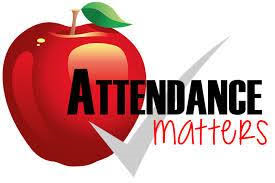 If you keep a driver waiting, if you aren’t as polite or friendly as a driver expects a passenger to be, you’ll get a bad grade. Why does this matter? 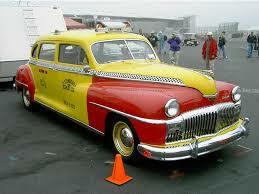 If you are looking for transportation at rush hour or after an event, you very well might be left waiting on the curb. Uber, available around the world, has caught on like wildfire [though it’s encountering legal glitches in France, Germany and South Korea according to techcrunch.com]. In February alone, according to fusion.net, the company attracted $2.8 billion in venture capital. Is the public so in love with clever technology that it accepts every–and anything–from a company that’s expert at it? Have you used the service? Will you continue to after July 15? Blog Service of Firing Employees: Is There a Good Way? Service of Storage: Good or Bad Idea? 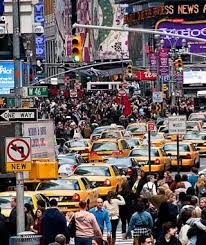 Service of Congestion Pricing: Positive or Negative Impact on NY Metro Area? Do not hesitate to contact us with any questions | © JM Byington & Associates, Inc.